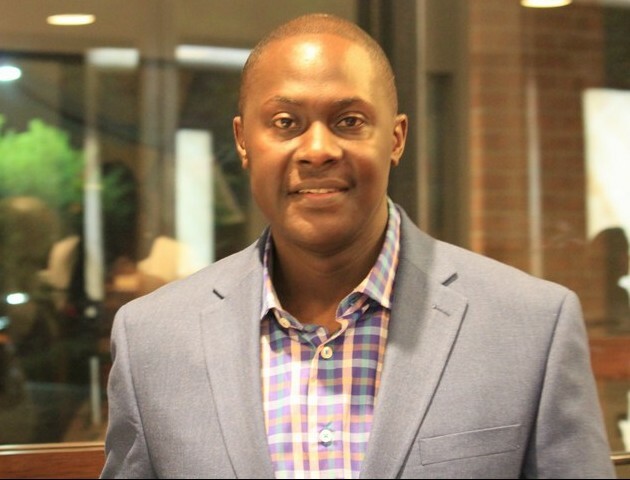 Ugandan Diaspora News | Letter from the Editor | July 2015 | Uganda’s Changing Political Landscape! We hold these truths to be self-evident, that all men are created equal, that they are endowed by their Creator with certain unalienable rights, that among these are life, liberty and the pursuit of happiness. That to secure these rights, governments are instituted among men, deriving their just powers from the consent of the governed. That whenever any form of government becomes destructive to these ends, it is the right of the people to alter or to abolish it, and to institute new government, laying its foundation on such principles and organizing its powers in such form, as to them shall seem most likely to effect their safety and happiness. With the creation of the separation between the three arms of government in a system of checks and balances between the Executive, the Legislative and Judicial, the founders of the United States ensured that no single branch would dominate the others. Today the White House, Supreme court and Congress cannot overlap each other thus making the union of these United States even stronger! In Uganda, a credible threat to President Museveni’s rule has come in the form of his long-term ally and confidante, Amama Mbabazi or JPAM, who has declared his intention to contest for the Presidency, throwing the NRM party and government into confusion, judging from the uncoordinated responses seen in social media and various platforms that have indicated a further fusion between the NRM party and the State institutions. President Museveni, fresh from an African Union summit in South Africa, called a press conference where he appeared visibly angered by the news of his former ally standing against him. President Museveni who seeks a 5th term in office has been at the helm of Uganda’s politics and party affairs for 29 years. It was startling to see him declared sole party candidate without a prior delegates conference called for by party rules. Those behind the move were rewarded with ministerial posts. While many of us have never fully recovered from the change in the Constitution of Uganda to allow unlimited time in office (lifting term limits), the Kyankwanzi resolution for sole candidature was equally shocking. Ugandans, being the docile people we are, have simply continued to look on as our constitutional rights are constantly violated. With a weak and divided opposition and many of our parties dogged with infighting and defections I have always contended that the real opposition to President Museveni’s rule would come from within the NRM party. While Besigye was accused of jumping the queue, the increasing lack of democracy and the political persecution of his opponents have further exposed President Museveni’s agenda who acts more and more as a life-long President. The expulsion of 4 MPs for what was termed indiscipline or failure to follow party positions have been tell-tale signs of the increasing dictatorship in the ruling party. Attempts woo these prodigal sons back to the NRM fold shows how predictable our politics can be sometimes. Those in support of the sole candidate scheme know that a change in leadership would affect their livelihood hence the cheer leading we have continually seen. Uganda’s politics is for sell and the highest bidders carry the day while for the electorate its all about pays for the groceries. But with rampant corruption, break down of institution order and poor governance, the only hope to bring about a fundamental change in Uganda today is a new direction. Some might be quick to brand me anti government but with the years President Museveni has spent at the top his biggest undoing has been the failure to build independent structures of government but instead we have continually witnessed the majority of contracts and decisions of government first get a seal of approval from State House. After nearly 30 years in power President Museveni has been quick to remind critics that it is the party that will choose his successor though signs are increasing pointing to the First Lady and the first son Muhoozi as no NRM politician has the goodwill and the blessing of the party patriarch at the helm to succeed him. Those who were considered favorites candidates like Wapakabulo were never allowed to progress at the height of their popularity. Some pundits justifying Museveni’s continued stay in power have been quick to point us to the chaos that ensued in Libya after Gaddafi’s fall. But they ignore Libya’s fundamental mistake in concentrating all power around Gaddafi and his henchmen of the Libyan Jamahiriya. Thereby creating a power vacuum soon after the regime collapsed — Libyans lost everything and today the country is ruled by Militias who control enclaves — a failed State of sorts! And so with the state machinery behind the incumbent and the party “war chest” filling up as shown by the recent party fundraiser there is no doubt that a united opposition will be the only solution to defeat President Museveni’s military might and treasury! It is time we also embraced the politics of running mates and joint tickets in Uganda’s politics the same way Kenyans did in the wake of the violence of 2007. The new constitution will need to further trim the powers of the President and move away from the ceremonial Vice President. A President who is part of the electoral process cannot be allowed to appoint the electoral commission and Supreme court judges. The position of deputy president will need to be introduced as a way to ensure a peaceful transition and the transfer of power from one leader to another. So far some are pointing to Besigye and Amama Mbabazi as a formidable ticket but this would face the challenge of regional imbalance. FDC now has two front runners after Party President Mugisha Muntu declared his intentions to contest. The matter is now left to the delegates conferences of both NRM and FDC to pick flag bearers of the two largest parties in Uganda. Not many years ago we witnessed the ‘recall’ of Thabo Mbeki, President of South Africa, who was subsequently dropped as ANC party chairman and also as President of South Africa in part for making corruption allegations against Jacob Zuma. Mbeki was isolated by his party and later forced to resign. As an anointed Mandela’s successor he did not survive the storm and winds of change within his party that swept him aside. The party was keen to embrace more charismatic leaders like Jacob Zuma . Today ANC as a party is now a shadow of its former self, dogged with all manner of scandals. More recent resistance to third term attempts in Burkina Faso and Burundi are also firm reminders of what can happy when citizens simply get fed up. Uganda risks becoming a failed state with an erosion of the gains of the revolution that brought the NRM to power, unless a serious discussion for transition and transfer of power gets started. What we need is to move away from cadres and adopt a nationalist spirit that will put Uganda first ahead of ourselves! With the passing of the years it becomes clearer that the NRM party was not founded on a cohesive ideology but rather built on selfish interests of people seeking power and wealth. Today the recycling of leaders and people accused of some of the biggest corruption scandals says a lot about our government commitment to change and improve things for the betterment of all Ugandans! To win, Mbabazi needs to connect with the voters in the language they understand the way Museveni and Besigye have done in the past. The use of the slogans like NRM poor youth have bothered some, who feel that as former Secretary General of the NRM party Mbabazi should have done more for this lot! But others within the NRM have warmed up to Mbabazi while the opposition thinks a Mbabazi candidature will help split the NRM vote. Other critics posting on Diaspora forums like UAH (Ugandans at Heart) have criticized Mbabazi’s performance and his failure to articulate his vision for Uganda as the best alternative during his recent trip abroad. To some, Mbabazi is indistinguishable from the usual NRM politics having been part of the system for so long. Mbabazi now needs to hold his own and devise a strategy that will tame the many voices in his camp to a single unified message and agenda! 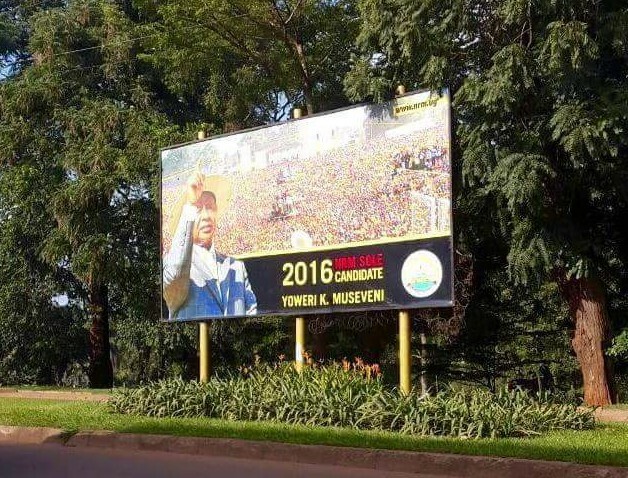 However what might galvanize support for all aspiring party candidates and their supporters might be the double standards of denying the distribution of election materials when NRM sole candidate billboards and cars draped in the same advertisements have been seen across Kampala and many of the major towns. This brand of Animal Farm politics might be the regime’s biggest mistake that might come back to bite it if the opposition unites. The Public Order and Management Act is another weapon the State has used to prevent any formal public consultations not sanctioned by the police. However with Dr. Kiiza Besigye coming out of retirement and joining the field, having contested in three previous general elections, some see the persistence of Nigeria’s General Buhari, who contested in previous elections where he lost. As we start the 2015 election campaigns we will see if Besigye’s firebrand politics is still relevant and if he can connect with the voters this time round or will it be Mugisha Muntu. Besigye has been keen on electoral reform but it remains to be seen if this will be something the government will institute ahead of the 2016 elections. If what took the NRM guerrillas to the Bush were the rigged elections of 1980 then the powers that be ought to be aware of the growing discontent within the public! So we await to see if and when we shall ever see a peaceful transfer of power in our country or if it shall be another case of “Cry the Beloved Country” Uganda!!! One thing is for sure — the fault lines are beginning to develop. Politics aside Ugandans should have something good to celebrate. It is now clear that our music industry has now come of age with artists like George Okudi winning the Africa’s Kora Awards. The most recent international addition has been Eddy Kenzo who bagged Black Entertainment Television (BET) New International Artist Award for 2015. Jose Chameleon has also been nominated for the MTV Africa MAMA Evolution Award. A Happy Independence Day America! Ronnie this is one thoughtful and well written script I have read in recent times. Not much to add. Kudos. Jal we need a fundamental change and a government of the people by the people and for the people.